IOSDEVUK is over for another year; our annual pilgrimage to Aberystwyth always end in a sad train journey home – all the better for the knowledge we’ve gained throughout the week. As is tradition, here is my round up of the week and my very best bits! Prior to iOSDEVUK I hadn’t come across Firebase. This tool is phenomenal and can do brilliant things that allow you to control detailed configuration of your app without the need to submit your app for an apple review. Watch out for a blog post tutorial soon showing how you can set it up in a basic project. Todd was a brilliant speaker, very engaging. One of my favorite talks by far! This was quite simply interesting. Emily sneezes a lot and is using iOS to track her sneezes in order to help work out what’s causing it. 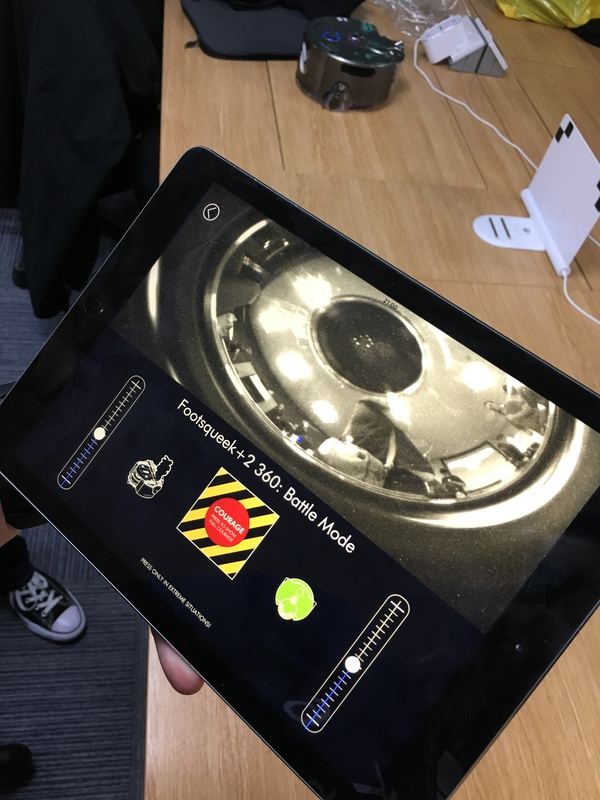 It’s a real world use case for how mobile technology can be used to collect high volumes of data, analyze it and then make use of it in the real world. If you get chance to listen to Emily talk about her sneezing I would highly recommend it. Sometimes as developers it does us good to remember that we are all human, we all make mistakes, miss the blindingly obvious and ultimately we are all idiots …. Sometimes. This talk reminded me that if we need help, we should ask for it and if we share knowledge the community is stronger for it. My take away message from the talk though was that under no circumstances should you ever try to be CLEVER! It always backfires. Scotty is a brilliant speaker! He has a habit of stating the blindingly obvious in a hilarious way. Scotty reviewed where we have come from as developers and where we are going to; the underlying tone of the talk was the fact that while iOS is a very rich place today for developers this is unlikely to remain the case forever. This changing landscape is part of evolution and even visionary entrepreneurs can’t predict the future! 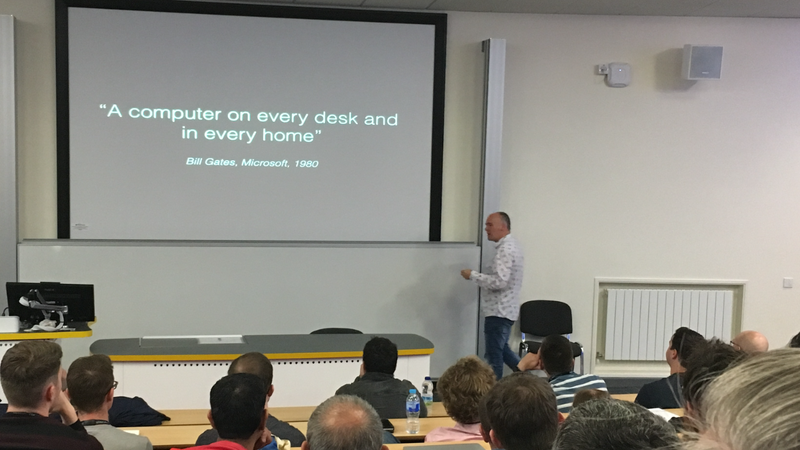 He also emphasised that sometimes people do get it right – can you believe that less than 40 years ago it was considered ambitious to have a computer on every desk, in every work place and in every home! No-one knows the world of iOS like Dave Verwer, writing iOSDEVWEEKLY really does give him an insight into our world like no-other. The stats Dave is able to create showing who is reading iOSDEVWEEKLY are a portal onto the iOS Development Community that just blows you away. Brilliant speaker and in my view Dave is one of the cornerstones that makes doing what we do so interesting. This totally blew me away! I’ve been to hackathons before and they are always brilliant fun but then Dyson entered the room with 16 robotic vacuum cleaners! Words cannot describe how good this event was – I still say we were cheated as our balloon burst itself in the final battle, the stewards’ enquiry is still open in my eyes; but I’m not bitter. Serious kudos though for a job thoroughly well done. Conferences are an essential part of our learning as developers and have a huge impact on companies. I want to say a massive thank you to Chris, Neil, John and the team here in Aber; once again you have raised the bar and delivered a brilliant event! So that’s it; iOSDEVUK is over for another year. If you can’t wait a whole year for another conference check out what we are doing in Chester 17th – 20th April 2017. CodeMobile is a brand new developer conference focusing on both Android and iOS Development. We need more events of this type in the community because when you bring developers together it really does create magic!